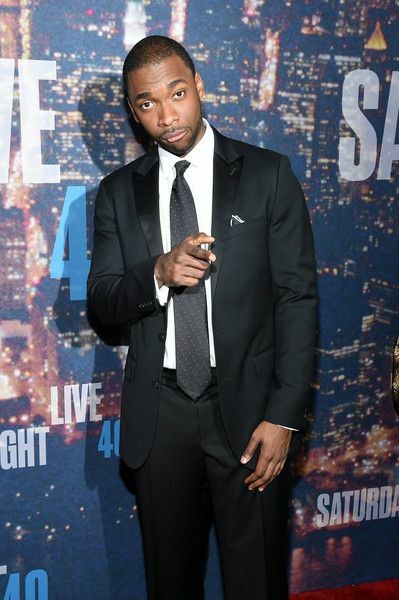 Last night, the SNL 40th Anniversary Celebration was held at Rockefeller Plaza in New York City, bringing generations of comedians and celebs who've appeared on the broadcast. 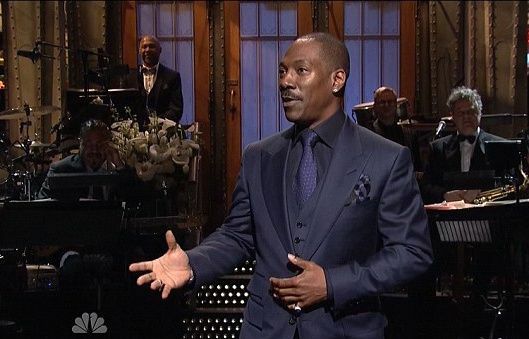 Funnyman Eddie Murphy, one of the show's most famous alums, attended with girlfriend and constant coffee-run companion Paige Butcher. We were a little bummed out that Eddie didn't do any jokes. 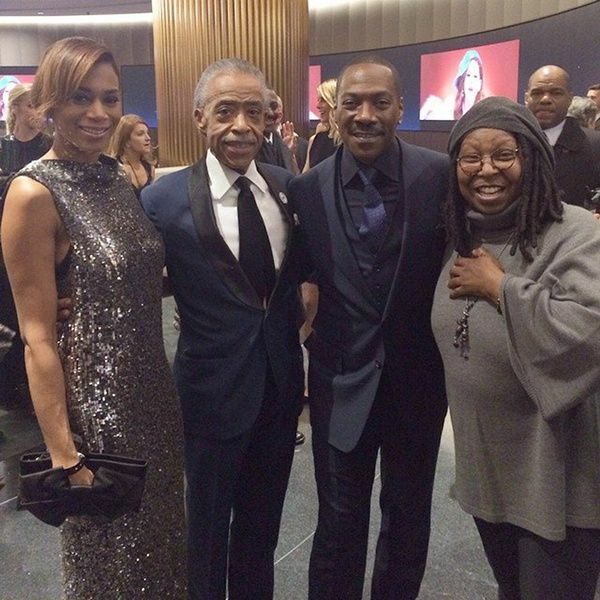 Backstage, Eddie posed with Whoopi Goldberg, and Al Sharpton and his date Kathy Jordan. 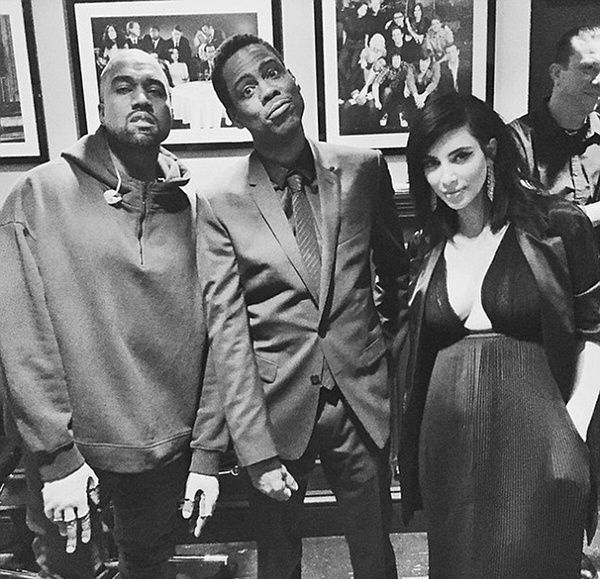 Chris Rock also posed with Kanye West and Kim Kardashian West backstage. 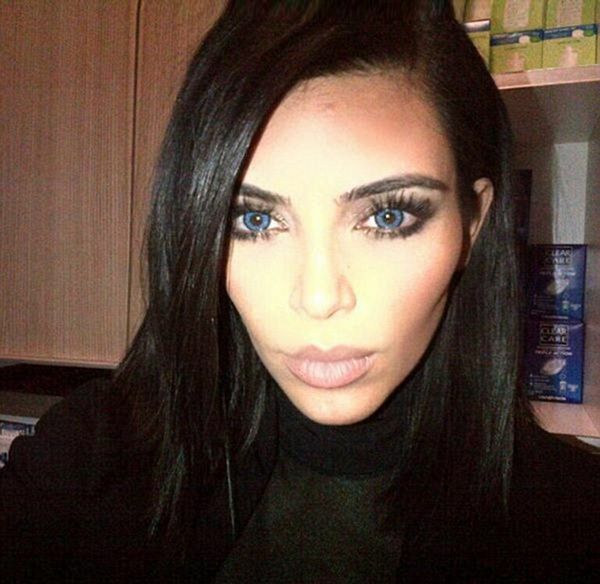 On Instagram, Kim posted pics of herself and Kanye rocking contacts, which played into his performance of "Wolves" with Sia. 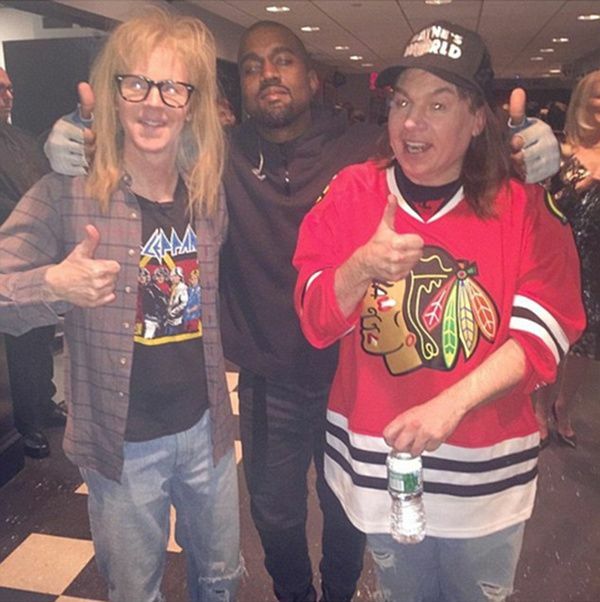 Kanye also posed with Dana Carvey and Mike Myers after their "Wayne's World" skit which lampooned Beck/Beyonce. 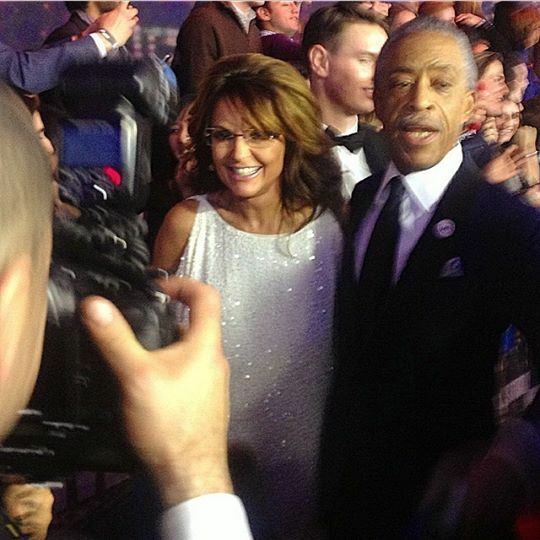 Al Sharpton, who hosts a hit show on MSNBC, also posed with former governor turned tv personality Sarah Palin and Extra! 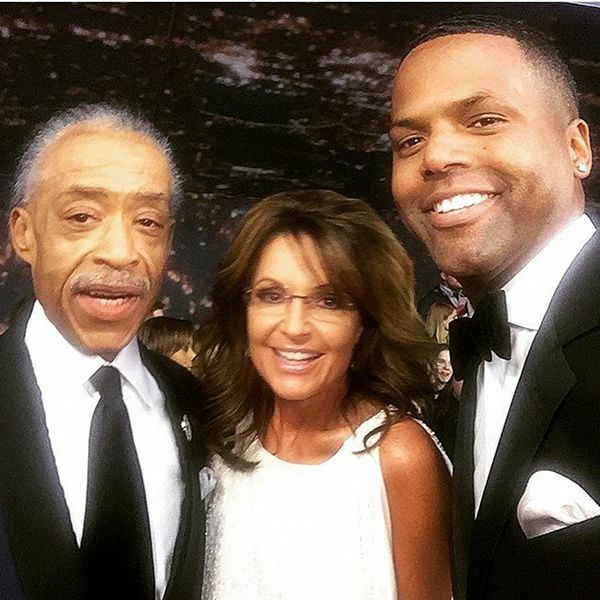 host AJ Calloway. 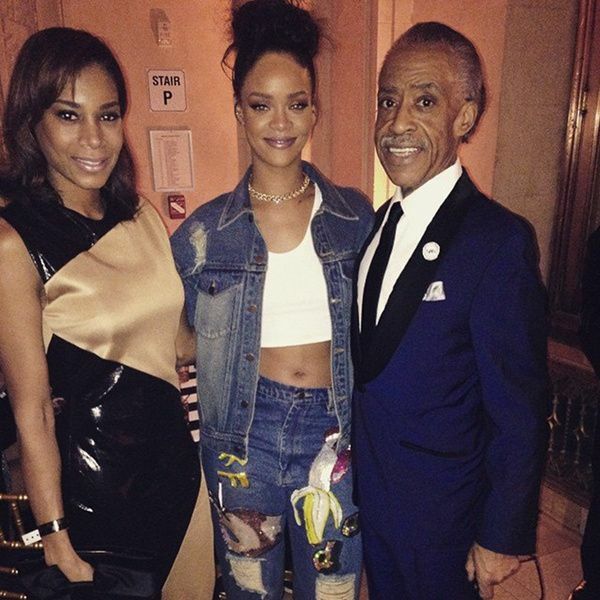 Rihanna was spotted backstage, posing with Al and Kathy. 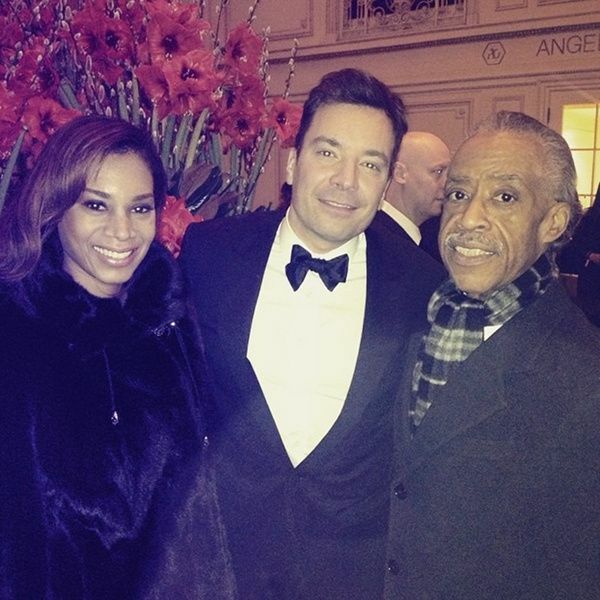 Al also posted pics on Facebook of Jimmy Fallon and Mr & Mrs. West. During the "Celebrity Jeopardy!" 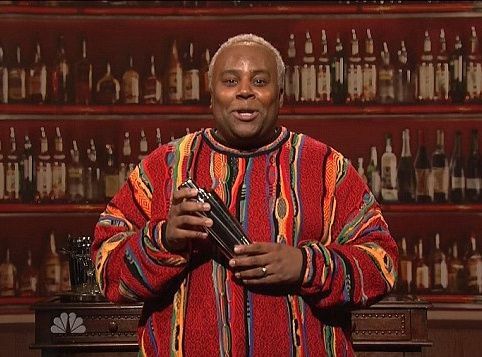 sketch, Alex Trebek (aka Will Ferrell) threw to a pre-recorded segment featuring Kenan Thompson’s Bill Cosby showing people how to make a…cocktail. The cast "joked" that the segment was taped BEFORE those nasty allegations. 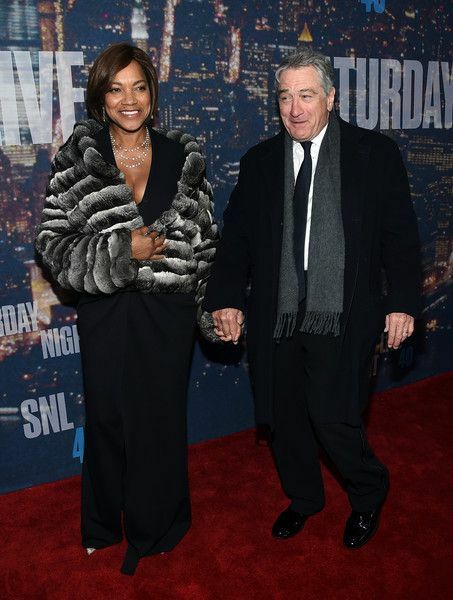 Movie legend Robert De Niro posed with wife Grace Hightower. 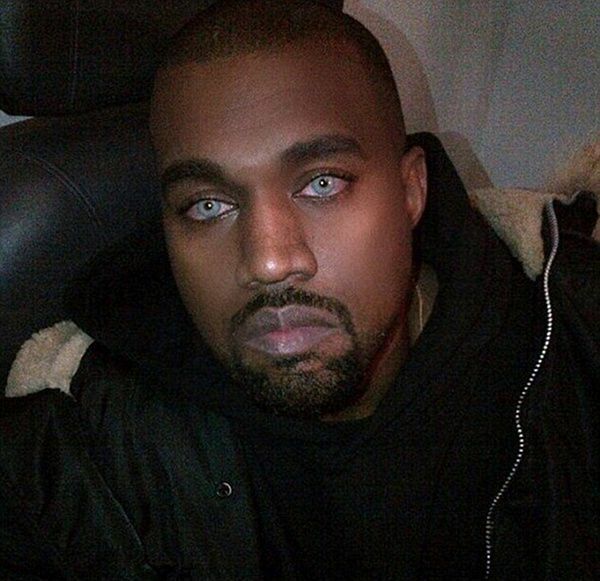 Rapper Darryl 'D.M.C.' 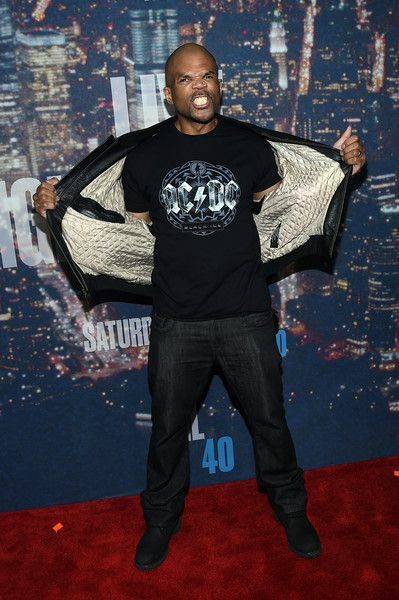 McDaniels rocked an ACDC shirt. 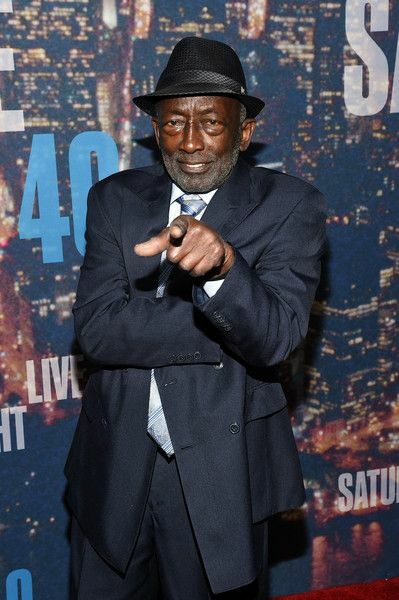 Garrett Morris, the first Black "SNL" cast member, made a triumphant return. 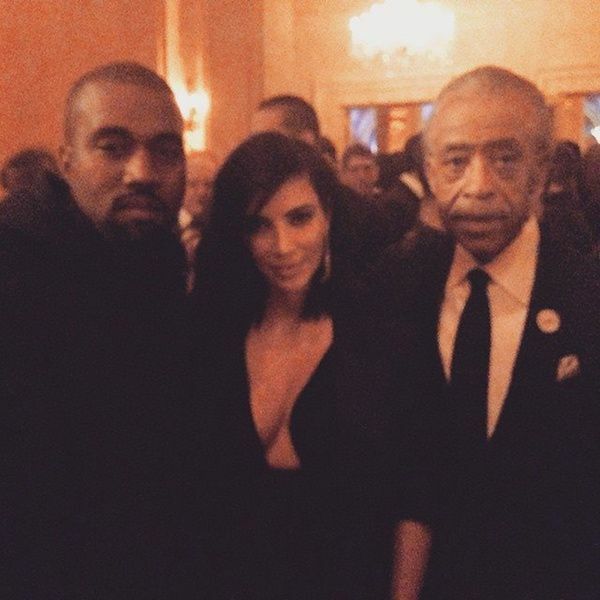 He now stars on "2 Broke Girls." 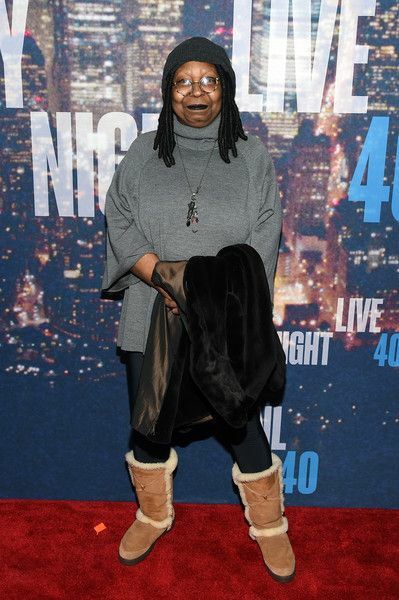 Whoopi Goldberg shared a "surprised" look. 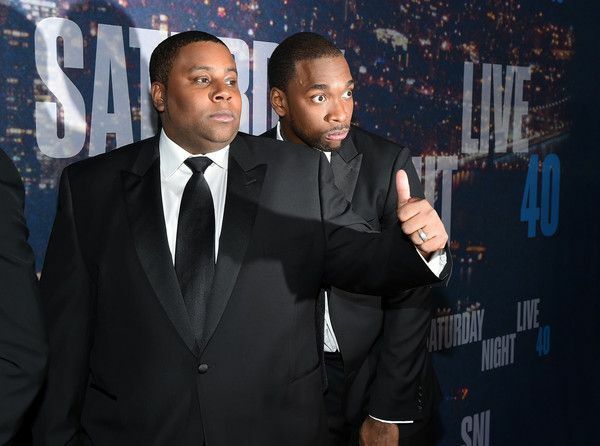 Current castmembers Kenan Thompson and Jay Pharoah posed together. Newlywed (and new dad) Ludacris was there. Maya Rudolph brought out her "Beyonce" impression. 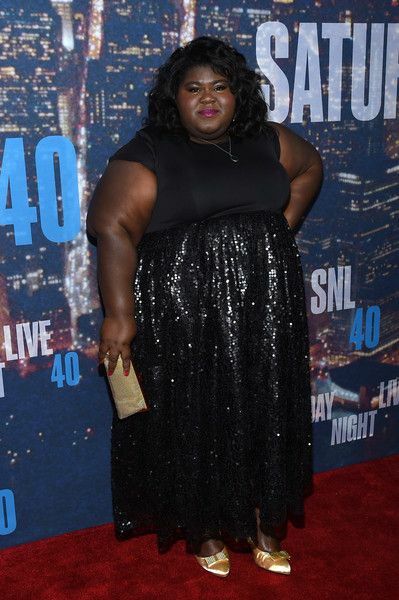 "Empire" star Gabourey Sidibe sparkled on the red carpet. "Scandal" star Kerry Washington appeared in the "Californians" sketch. "Red Tails" producer and "Star Wars" creator George Lucas posed with wife Melody Hobson. 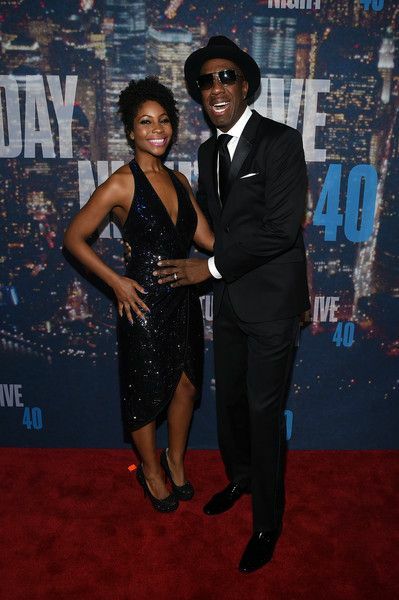 Dave Chappelle posed with wife Elaine Chappelle. 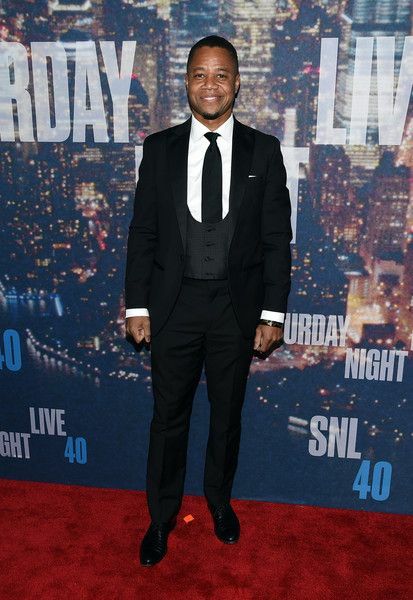 Oscar-winner Cuba Gooding Jr. flashed his pretty smile. 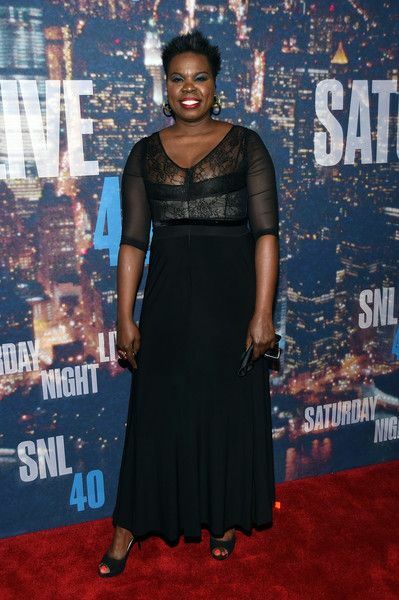 Current castmember Leslie Jones was there for the laughter. Funnyman J.B. Smoove posed with wife Shahidah Omar. 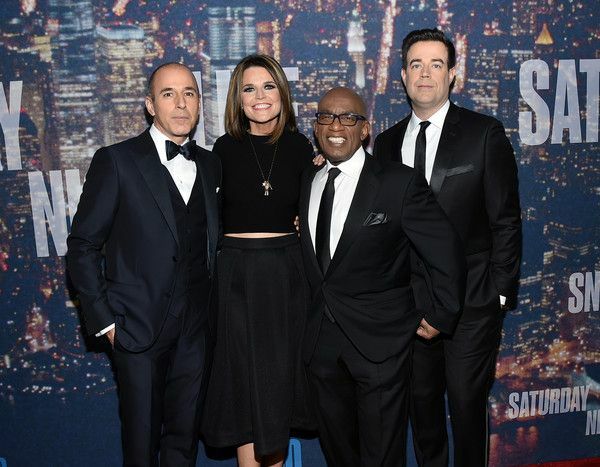 "Today" show anchors Matt Lauer, Savannah Guthrie, Al Roker and Carson Daly hosted the red carpet. After the show, the comedians and musicians headed to an after party at the Plaza Hotel that included performances from Sir Paul McCartney, Prince and Taylor Swift.